Charter Bus Kissimmee, FL. Kissimmee Charter Buses in Osceola County, Florida present affordable and cheap airport shuttle bus service to Orlando International Airport (MCO) and Orlando Sanford International Airport (SFB). We also provide shuttle buses to Kissimmee's Executive Airport on Hoagland Blvd. The charter buses in Kissimmee are ready 365 days of the year, including Christmas, to pick you up and drop you off with our great top-notch VIP chauffeur service and exclusive complimentary baggage service. Price 4 Limo's Kissimmee charter bus drivers will hold a sign up for you in baggage claim and deliver door-to-door service anywhere in the Orlando-Kissimmee-Sanford metro area. Our charter bus service in Kissimmee can be used as the perfect activity bus for tourists and families of any size visiting the Kissimmee area, where there are many things to do. You can hire coach buses in Kissimmee for a trip to the Disney Wilderness Preserve or a cheap ride to see the animals at the Green Meadows Petting Farm. A mini bus in Kissimmee can even be used as a bachelorette party shuttle bus or Wedding coach bus to keep everyone together, safe and comfortable. Named after the Kissimmee Indians who originally inhabited the land, there is much to see and do in this part of Florida right next to Disney World. The Kissimmee Shuttle and Motor Coach Buses in Osceola County are here to serve you! Kissimmee VIP Charter Buses in Osceola County provides luxury transportation services for organizations, individuals, family gatherings, private affairs, and tour groups. We even serve our educational facilities, offering cheap rides to the students and faculty at Osceola Campus/Valencia Community College, TECO, Stetson University, any Kissimmee, Osceola County area University -- at an affordable rate. We even cater to religious students of all kinds, and provide point-to-point transportation for Bar Mitzvahs, communion, and any other kind of religious service. Our chartered buses are often used as Beach Buses for students on Spring Break or for a relaxing day trip to Cocoa Beach or Bermuda Beach Tanning Salon, if you don't want to deal with the rigmarole of sand and umbrellas. Let our chartered bus drive you and your party to the Mindy O Waterpark where the kids can slip and slide into the water or Xtreme Paintball Experience, where you don't just shoot each other, you can participate in a full experience. With Osceola County Stadium and many golf courses to choose from, you'll have no problem staying busy. Let Price 4 Limo be your designated driver and give you a night out on the town transporting you in our chartered motor coach buses safely with a night out dancing at the Salsa Latina Nightclub or some karaoke at the Blue Max Tavern. Or, for the very sophisticated, we can transfer you to Disney's Boardwalk or Universal's Citiwalk. With Kissimmee Bus Service, you don't have to worry about finding parking or driving after a few drinks. Let our skilled, bi-lingual drivers take you around and show you all the sights, and promptly return you back home or to your hotel at the end of a long fun night. Take a Shuttle Bus in Kissimmee to Old Town, where shopping, dining, and entertaining awaits everyone from all ages. Or take the young ones to the Haunted Grimm House or the Horse World Riding Stables where you can finally live out your fantasy of being a cowboy. Those of you here for entirely serious reasons and business matters should allow our Kissimmee Corporate Bus Service to provide ground transportation to all your business affairs taking place, perhaps, at the Orlando Conference Center or the Gaylord Palm's Resort & Convention Center. With Kissimmee charter buses and executive bus service everyone can arrive to their destination feeling relaxed and relieved that they won't have to deal with chaotic Osceola County traffic. Hiring a charter bus in Orlando, FL would be a great way to take you and your group to Kissimmee. Price 4 Limo's Kissimmee Bus Service will take you and your guests anywhere in Florida safely and in comfort. Our shuttle and motor coach buses include high-end courtesy service and extra storage space. Price4Limo will find you the very best and most affordable Kissimmee VIP Charter Bus service. Don't get stressed out with the madness of Kissimmee traffic. Stop using other overpriced bus companies in Kissimmee and let us give you the most affordable limo bus and VIP and limousine service that Florida has to offer! Let us know your personal transportation needs when your reservation agent contacts you – just simply fill out the form and we'll get in touch with you right away, giving you a bus quote instantly. 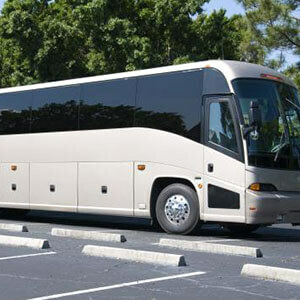 Remember, Price4Limo is the best place to book your Shuttle Bus and Charter Bus Service Rental in Kissimmee, Florida.